Ship classes are now more distinct, each with their own features and drawbacks. Building ships in the Shipforge is now a lot more user-friendly. 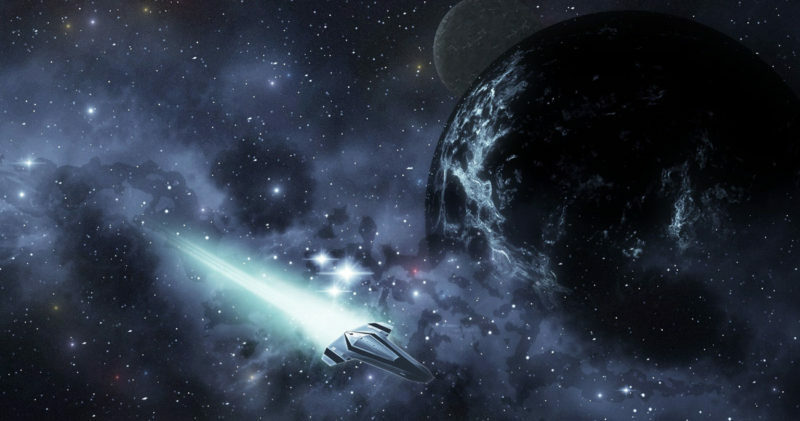 Ship weapons and ammo effects have been updated to provide a new level of depth to space combat! Space incursions all got tweaked to take advantage of the new changes. Captaincy received a bunch of improvements yesterday, making your piloting maneuvers more powerful and useful. Vast improvements to the availability of gas clouds and asteroids, and updates to make it easier to find them (especially for our screen reader users) and refine. Refinery and Autofactory updates to make them more profitable for our entrepreneurs of industry. Cargo market orders are now generally more varied and profitable. New content has been added throughout the game! Explore new areas like Tranquility Deepness, and Windishu Biotech Facilities. A series of 21 new dynamic content areas tied into our Hacking system have been added. Many areas of the game continue to get improvements to their denizens, quests, and rewards! PVP and Cosmpiercers continue to be refined and improved! We’ve just closed our first classlead season (where you, the player, can submit ideas and changes for improvements to your class), and coding will get underway shortly to get those into the game! Cosmpiercers received big updates, allowing more fluid and fun faction vs. faction conflict. Bounty Hunters have been added to the game! These mercs for hire thrive on combat, and carry out the dirty work for other players. Bounty hunters gain access to some very powerful tools to help them carry out these jobs with lethal efficiency. Retirement is open! Up until April 15th, you can transfer retirement credits to existing characters! After that date, you will only be able to transfer them onto new characters (under 30 days old). Log in every day in March to help assist Crazy Jerry, CEO of the Darkstar Parcel Delivery service, recover some lost mail, for a free prize!